Retrospec Speck has a cool, hip design with a sturdy and sharp construction. There are a few of different colors which are suitable for either males or females. You can check out from the photos below. Retrospec Speck SS design also emphasizes the portability. It is neatly folded and ideal for bringing on bus, subway or any public transportation. It is also perfect for camping trips or travelling holidays. As most of folding bikes, Retrospec Speck SS has a 20-inch wheel size. 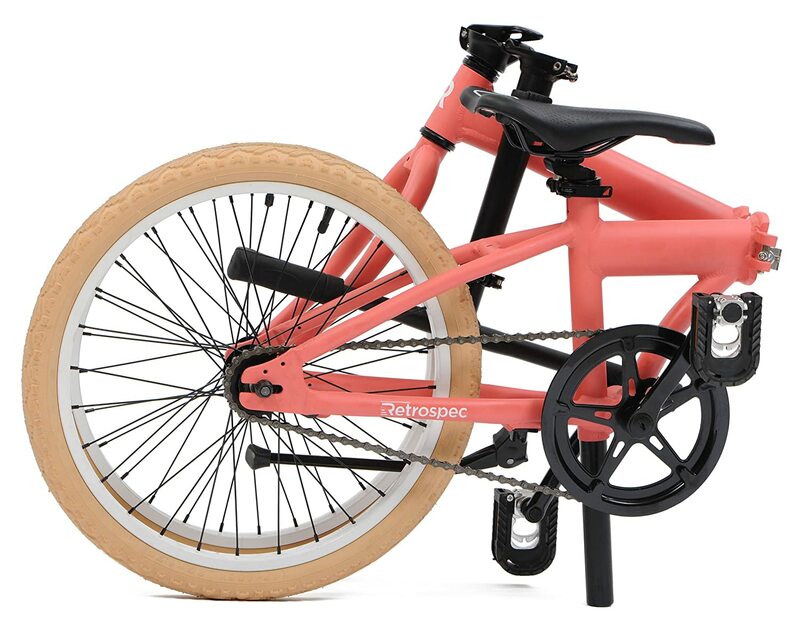 These smaller wheels (compared to 26-inch common size on adult bikes) enhance maneuverability, make quick acceleration, weigh light and take minimal storage space. 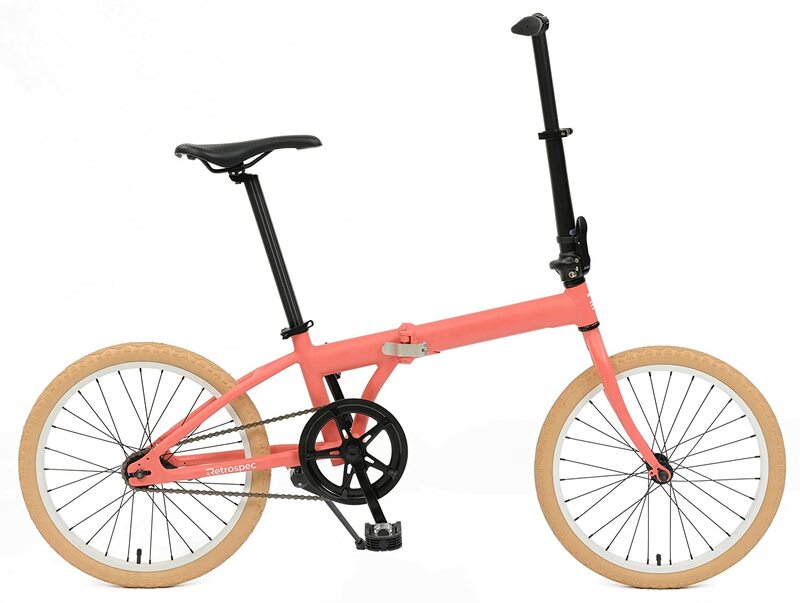 You can easily all other folding bikes reviewed have 20-inch wheels​. Single-speed feature is made easy particularly for urban riders to ride and commute on flat roads in any weather conditions. Without gearing systems as other multi-geared bikes, a single-speed folding bike has fewer parts requiring maintenance. Small and fast, possibly as fast as a full scale single-speed bicycle. The handlebar height is adjustable. The specially designed commuter tires allows large amount of water dispersion. Only recommended for casual, leisure biking on flat roads and small hills. If you are looking for a folding bike with a combination of style, function, performance and affordable price, Retrospec Speck SS is a great option. It is ideally ridden on flat roads in urban areas or your neighbour hoods. You can also easily carry it around and jump on bus or subway​. Best Clipless Pedals 2018 – How to Pick The Right Ones! Would You Buy a Cycling Airbag?